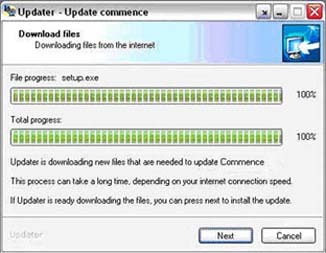 Commence RM Version 3.5 now incorporates an auto update facility that automatically checks for new updates of Commence and installs them for you on your desktop computer. This allows for the fast efficient implementation of future updates for both large and small workgroups and will be a welcome addition for Commence administrators. There is no doubt that the Commence Synchronization engine is the best in the industry, but we have made it even better. We have now added a status bar on the desktop that will illustrate the actual synchronization process and enable you to know when it is complete. This provides the end user with the comfort of knowing that they are working with the most up to date data. 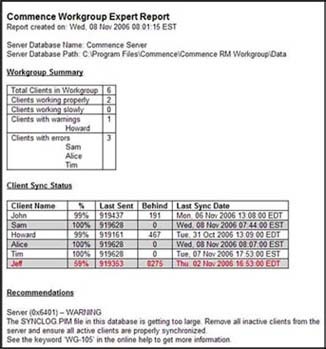 The Workgroup Expert feature has been enhanced to provide an easy to read formatted report that highlights the synchronisation process, allowing you to quickly determine if specific users are up to date or behind with data synchronisation. This allows the database administrator to periodically review the report and take appropriate action when required. 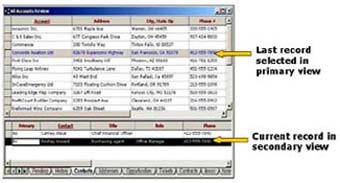 Everyone enjoys working with Multi-Views as they allow you to quickly access vital customer and contact information, and now they are even easier to use. 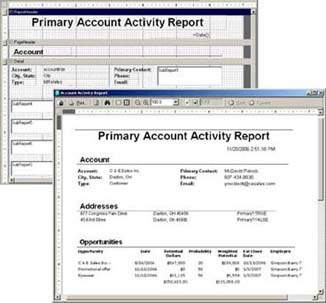 RM Version 3.5 ensures that users can clearly identify the active window and Commence item that they are working with when using Commence features such as Word integration or Commence Agents. 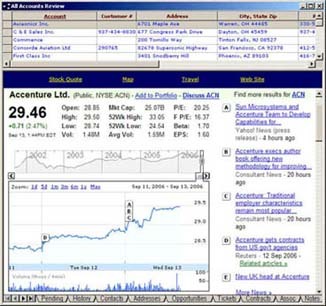 The Web Companion feature that allows for immediate access to the Internet from within a Commence application now interfaces directly with the Google search and information web sites. 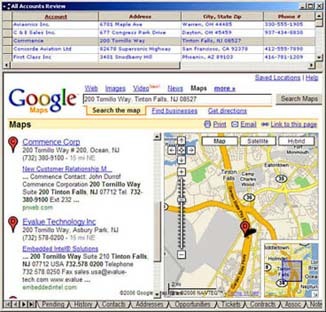 This allows you to quickly get financial information, maps or other data you may wish to review directly from your Commence desktop. 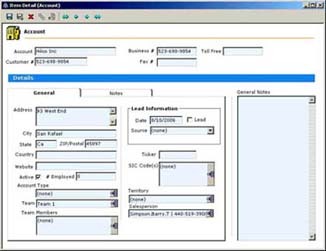 The pre-built Contact Manager application and CRM framework have been improved to leverage the latest Commence features, such as the enhanced detail form designer and report writer. 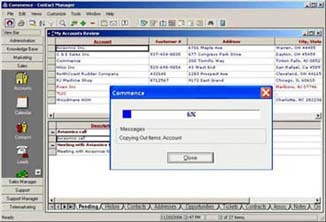 The built-in tools provided with Commence enable the application to be quickly and efficiently tailored to meet unique business requirements. If your detail forms don’t look clean and modern like this, call us and we will show you how to take advantage of these features in RM 3.5. 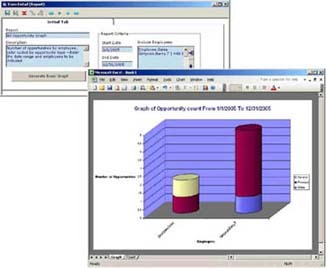 The Commence RM Version 3.5 Contact Manager application includes the ability to automatically launch Microsoft Excel to perform graphical analysis of data within the sales force automation application and can be extended to meet unique business requirements of custom applications.